Urban Veda is a natural brand inspired by the principles of Ayurveda, taking into account the health concerns we face everyday with excessive air conditioning, heating, dust, dirt, stress, exhaust fumes and basically the environment. All these factors have a negative effect on our skin and complexion. This skincare range is not just a quick fix to a flawless complexion, the natural and organic ingredients together with multi-vitamins maintain your skin’s natural balance, preventing you from outbreaks which are a result from excessive damage from the environment. In my August ‘High-Flyers‘ glossybox I received a sample of the Urban Veda Radiance day cream and loved it! I was recently sent the full skincare range from the radiance range which is designed to give tired skin a natural glow and I have been trying it out over the past month or so. It contains turmeric, marigold and coriander to balance the skin’s complexion. I love a 3-step skincare routine, with a cleansing face wash, toner and moisturiser. This range has a day cream and a night cream which I have been using accordingly. The whole range smells amazing, making you feel refreshed and nourished. The toner is gentle yet removes dirt from your skin and the moisturiser is thick and creamy but absorbs quickly into your skin so it doesn’t feel oily. This is a perfect skincare range for summer months. Other ranges include the reviving range which is the latest range and I have also tried a couple of products including the body wash which is just amazing! It’s like a softening, gorgeous smelling body cream but bubbles up as a body wash once you add water. The key ingredient is the rose damask to revive tired skin and give it that extra boost. 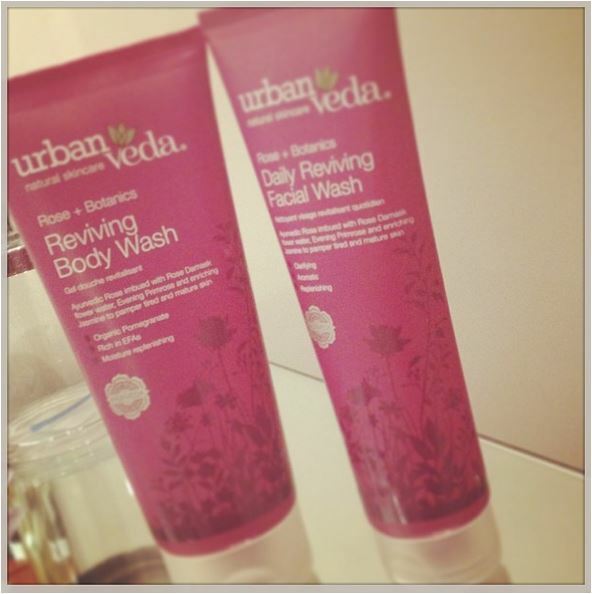 Currently the Urban Veda range is only available through their website but it will definitely branch out to stores soon.